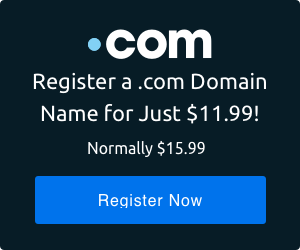 Yay, you just bought a domain name and developed a website! But now you’re facing some important next steps. First, you’ve got to find yourself a host. It seems so simple – a host is just a server that holds your website’s files and displays them so that your site is seen and found online. Simple, right? Well, it’s a bit more complex than that. First, you’ve got to decide what kind of hosting fits your needs. There are three main forms of hosting; dedicated servers, virtual private servers, and shared servers. A dedicated server is the private jet of hosting. It’s a physical server that’s only accessed by one customer…you! Dedicated hosting is ideal for businesses or advanced users who run high traffic websites, CPU-intensive applications, or complex databases. With a dedicated server you can easily utilize the full CPU and RAM resources of the server. Basically, it’s like having your own private plane. The resources on a dedicated server are made available exclusively to YOU, enabling consistently high performance. This option gives you full control of the server’s resources. It’s up to you to decide whether to host one website or a dozen websites. Dedicated servers are perfect for businesses that expect high traffic. They’re also very useful for large organizations and businesses who want total control over the server – and intend to tailor it to their needs. It opens up the possibility of selling unused bandwidth to others. Not ready to commit to a Dedicated server but need to augment or replace your current hosting? Virtual Private servers are the next step up from Shared servers, giving you more power and better performance. Unlike Shared hosting, when you use VPS, you don’t have to worry about anyone but yourself when it comes to hosting space and performance. VPS Hosting is a good fit for businesses or users who are experiencing rapid growth, heavy website traffic, or are running complex applications. Here’s how DreamHost does it: DreamHost partitions a physical server into multiple virtual servers that each have a protected and reserved amount of CPU and RAM resources. 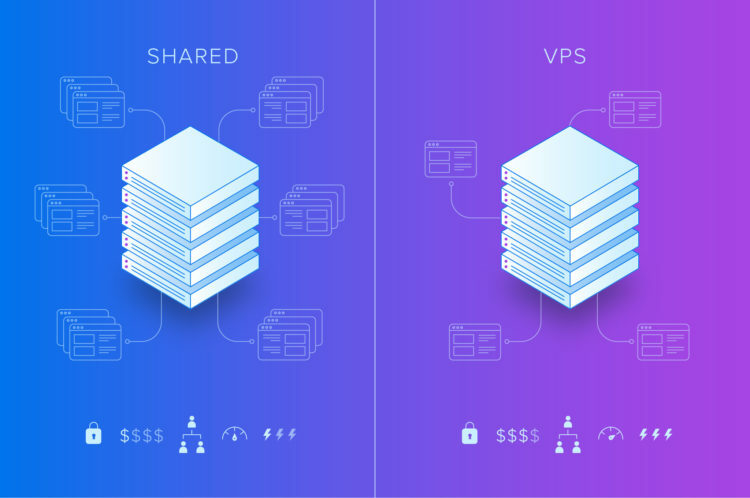 Unlike Shared hosting, VPS instances do not compete against each other for these resources. Therefore, a spike in resource demand among other VPS instances (other customers) will not lead to a performance decline in your website or database. Shared hosting is the most popular service for individuals and small businesses. Bloggers, website designers, e-commerce stores and small businesses benefit from shared hosting. It’s convenient, comparatively cheap, and cost-effective. The reason for this is you share servers with other businesses. This just means that many customers’ websites reside on a single server, and that the server’s resources (CPU and RAM) are shared. While a dedicated server is like having your own private plane, shared servers are like having access to the subway. It’s pretty fast and always affordable. The downsides to shared hosting are limited bandwidth and less custom control. If your website becomes super popular, you may be forced to find a more powerful hosting solution like VPS or even dedicated hardware. However, shared hosting is a good way to get up and running fast, without unnecessary financial outlay. Really impressed! Very informative blog.